2. Do people use more electricity in winter, and how can I reduce this? 3. 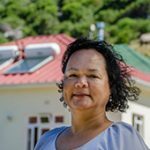 What is the City of Cape Town doing about saving electricity? 1. How can I monitor my electricity costs? Calculate your monthly consumption, and start recording it over time to see if you are making progress. Whether you use credit metering or a prepaid meter, it is important to know your tariff and keep track of how much electricity you use month to month. Remember that there are usually seasonal differences e.g. electricity use goes up in winter for heating. See the resources section for more tools and help on this. Switch to prepaid electricity. Prepaid metering allows you to monitor how much electricity you are using at any time, thereby revealing which appliances use the most. Studies have shown that greater ‘real-time’ awareness of electricity usage encourages people to drop their consumption by about 10-12%. Eskom serviced areas: 0860 037 566. See more information here. Winter is usually an expensive time of the year for most households when it comes to using electricity for heating, especially with tariff increases which kick in from 1st July for City of Cape Town customers (or earlier for Eskom customers). Most households tend to spend at least about 20% more on electricity in winter months for their electric heating. The good news is that there are plenty of ways to save in winter. See this downloadable PDF: Ways to Save Electricity in Winter. The City is hard at work finding ways to help residents and businesses minimise the impact of constrained supply, and move towards more affordable, secure and sustainable energy. Installed over 200 kWp rooftop PV systems on City buildings. These projects continue to be implemented, extending the reach and benefits. From 2009 to 2016 these programmes have saved over 49 000 MWh, which translates into savings of R20 million per annum and 101 000 metric tonnes CO2e. This means more money freed up for service delivery. 1. How much can I expect to save? 2. How do I maximise savings from my solar water heater? 3. How much does a solar water heater cost? 4. What subsidies or rebates are available? 5. I’m not sure that I can afford to buy one now – surely I can wait a few years? 6. Should I get a solar water heater to replace my burst geyser? 7. How can I be sure to get a proper, high-quality solar water heater installation? 8. What are the key factors/pointers for a good installation? 9. What kind of a guarantee should I be looking for? 10. What is a heat pump? 11. Is a heat pump right for me? 12. How does a solar water heater work? 13. What are the different system options and configurations for solar water heaters? 14. What size tank/system should I have for my home/household size? 15. Should I put a timer on the electrical backup, and why? 16. What times should the electrical backup be set for, and why? 17. What is the ideal temperature to set the geyser to? 18. How long does the electrical backup need to get the water in the geyser back to the targeted temperature again? 19. Does a remote thermostat control work? Is it recommended? 20. Will I have to change my bathing or showering habits? 21. What kind of maintenance is needed for my solar water heater? 23. Why should I choose an Accredited Service Provider? Does the City guarantee their work? 24. What does accreditation mean for customers? 25. Why is the City getting involved in this market? 25. I am concerned about accidents happening on my property during installation; how am I protected? Typically payback periods for standard flat plat collector close-coupled Solar Water Heaters is between 3 and 6 years depending on water consumption and how you’re financing the system. The answer varies for every household, depending on the model purchased, how much hot water is used, and other factors. The general guideline is that a solar water heater can typically save up to about 60% of your hot water bill as your geyser accounts for the majority of your household consumption. Generally speaking, if you are using 450 kWh or more per month for electricity – similar to spending R850 per month or more on electricity – then you are likely to make significant savings from a solar water heater. * Households spending less can also save significantly, but behaviour will be a bigger factor to consider. Savings will vary from month to month based on household usage patterns (e.g. visitors, holidays, travel, etc.) and seasonal weather. As tariffs could increase steeply in years to come, the savings will only increase. Be careful to avoid the ‘rebound effect’: this is when households unconsciously use more electricity on other things or even take longer showers because they know their water is now heated by sun and that they are saving so much electricity, and so do not experience the anticipated savings. *Every household is different. All figures given are only indicative and can change over time. Install the correct size system for your home and family’s needs to start with. Use hot water in your home efficiently. This means good habits of short showers (rather than big baths) and help from technology like installing efficient, water- saving shower heads and tap aerators on all showers and taps in the household. Ensure you have a timer installed to boost the heat of the water (if required) just prior to using it. See “What times should the electrical backup be set for, and why?” for more information. If you want to take saving really seriously, you can opt to turn your system’s back- up element off and live with cooler water when the sun’s energy cannot be used to re-heat water in your geyser e.g. very cloudy days or for morning showers when all the hot water was used up the night before. Regularly clean your solar collector panel, so that the maximum amount of sun’s energy can always be absorbed. Service your solar water heater regularly according to the manufacturer’s recommendation. The price of a solar water heater varies based on size, quality, complexity of installation, configuration of solar water heater, whether a service contract is included, warranties, certifications (plumbing or electrical compliance certificates), and other factors. Currently, there is no subsidy for solar water heaters or heat pumps available. The previous solar water heater rebate through Eskom was terminated at the end of April 2015. Currently, the national Department of Energy (DoE) is apparently working on another new rebate programme but there is no clarity yet on what it will offer and how it will work. The sooner you get a solar water heater or hump pump, the sooner you start, the greater your savings will be. Your Accredited Service Provider can provide information about the instalment finance facilities to you. Alternatively, you can consider renting the product – a small number of Accredited Service Provider’s offer this option. See here for tips on financing your solar water heater. Yes. It’s not great that your geyser has burst, but the good news is that this is the perfect opportunity for you to upgrade to a solar water heater or a heat pump. If your geyser has burst, check out our burst geyser upgrade guide for easy step-by-step guidance. Even if your geyser hasn’t burst it is always worth being prepared in case it happens – see this guide to plan ahead to get a solar water heater when your geyser next bursts. Quality can be determined by many factors, including quality of components used and the installation itself. You should ask to see the SABS (South African Bureau of Standards) mark (or similar international certification) on all components used. A proper quality installation is also essential. Installations must comply with SANS 10106 and SANS 10142-1, the national standards for installations. Certificates of Compliance (CoCs) for the plumbing work and a separate one for the electrical work will provide additional documentation of quality installation. All solar water heaters installed through the City’s Solar Water Heater Programme by Accredited Service Providers have all SABS-approved components, meet the requisite SANS standards and will be plumbing and electrically compliant. The City conducts regular inspections to check these standards have been met. Electrical and plumbing Certificates of Compliance should be provided by Accredited Service Providers, usually at a slight additional cost. Solar collectors must be orientated and inclined correctly during installation. In South Africa, collectors should face true north or slightly to the west to take advantage of higher irradiance in the afternoon. A deviation of 45° east or west is acceptable, but deviation greater than this will require larger collectors to compensate for solar losses. A rule of thumb for pitching the collectors is “latitude +10°”. This gives the best uniform solar collection throughout the year. Vacuum-tube collectors are less orientation-sensitive than flat-plate collectors. Additional framework may be required to achieve the desired angle for the collector. Solar collectors should be placed in an area of uninterrupted sunlight. If an area is in shade between 9am and 3pm, another position should be found. A simple rule is to position your collector a distance from the obstacle that is twice the height of the obstacle. Partial shading by obstructions such as chimneys and TV antennas during daylight hours is acceptable, provided the shade does not cover more than 10% of the collector’s surface area. Generally speaking a 5 year warranty on all major components is worth looking for. There may be exceptions for some smaller components, so the entire system may not have such a warranty, or you may need to pay extra for it. Some components are designed to be replaced, such as sacrificial anodes inside some hot water tanks (which help prevent rusting in some systems), so are often excluded from warranties. The tank and the collector normally carry a longer warranty of 10 years from the manufacturer. For systems bought through the City’s Solar Water Heater programme, Accredited Service Providers will provide a full 5 year warranty from the manufacturer for the tank (geyser), the collector (flat-plate) and the roof mounting frame. In addition, there is an optional extension to the warranty at additional cost, to cover the geyser’s electrical element and thermostat should either prove faulty or fail during the same 5 year period. A heat pump takes heat out of the surrounding air, which the sun warms up daily – like an air conditioner working in reverse. It uses some electricity to power a small ‘pump’ that moves the heat, compressing it for greater effect, from the surrounding air into the geyser. A heat pump, like an air conditioning unit, is a vapour compression cycle, and works on the same principles as a refrigeration cycle. Where an air conditioning unit is used to cool air with heat as a by-product, a water heating heat pump can use the heat generated to further improve its heating efficiency. A heat pump works during the day and at night, and does not need to switch to an electric element on cloudy days, like a solar water heater does. A heat pump uses some electricity to power a small ‘pump’ that moves the heat from the surrounding air into the geyser. Heat pumps require regular annual maintenance (as do some solar water heaters). There is currently no SABS standard for heat pumps, so judging the quality of any brand or model requires a bit more effort by the consumer. It is important to consider the warranty offered on any heat pump sold, as well as any international certifications of quality, among other factors. Most of the Accredited Service Providers also install quality heat pumps, but not formally through the City’s programme. Using a heat pump can typically save about 25% of your monthly electricity usage, similar to solar water heaters. A heat pump works during the day and at night, and does not need to switch to an electric element on cloudy days, like a solar water heater does. Heat pumps can be the better option for houses with lots of surrounding trees that shade the roof, for flats and sectional title units, for old houses with roofs that might not support the weight of a tank, and for new houses where there’s no room for the tank in an attic space and the aesthetics of a roof-top tank is an issue. Heat pumps also perform well in coastal areas where fog and haze can limit the performance of solar water heaters. They are easy to install and take up less area than solar panels would to provide the same amount of hot water. A heat pump hot water system can be integrated with the HVAC system for further savings. It is an important technology for the commercial sector where large quantities of water are being heated and stored – such as in hotels and hospitals – and the energy savings offset the higher capital costs of the pumps. When the heat pump is operating it can be noisy depending on the model, its position and how it is mounted. Due to the fact that heat pumps are still dependent on a supply of electricity, they are not a feasible option for households that are not electrified and won’t function if the electricity fails. There is currently no SABS standard for heat pumps, so judging the quality of any brand or model requires a bit more effort by the consumer. It is important to consider the warranty offered on any heat pump sold, as well as any international certifications of quality, among other factors. This information comes from Sustainable Energy Africa “Sustainable energy solutions for South African local government: A Practical Guide” (August 2017). You can read it online here. Solar water heaters use energy from the sun to heat water. A typical flat plate system is based on two facts of physics: dark coloured objects absorb heat, and hot water rises. The heat from sunlight is absorbed and transferred to the water, which is stored in a geyser or tank. There are two main types of solar water heaters, and they may be configured differently. A typical system has three major components: a solar collector, a heat transfer medium and a storage container. Solar collector The solar collector absorbs the sun’s energy and transfers the energy, in the form of heat, to the fluid within it. Transfer fluid This fluid is the transfer medium. In a direct system, the transfer medium is the potable water from the storage container. In an indirect system, the transfer fluid is generally a mix of water and glycol, which passes the energy to the storage container via an isolating heat exchanger. Storage tank The hot water storage container is thermally insulated to retain heat. Solar geysers are usually larger than electric geysers and better insulated. This allows you to maximise your solar gains. A flat-plate collector has a transparent cover made of specially toughened glass, a coated metal absorber plate (coating is usually matt black paint), and a well- insulated weatherproof casing. Flat collectors are robust, economical, and versatile. Vacuum-tube collectors consist of a series of glass tubes connected together. The absorber strip in an evacuated tube collector is placed inside the toughened glass tube, which can withstand considerable pressure. The heat transfer fluid flows through the absorber directly in a U-tube or sometimes in a tube-in-tube system. Several tubes are connected to one another or to a manifold that makes up the solar collector. A heat pipe collector contains a special fluid that vaporises at low temperature. The hot vapour rises in the heat pipes and warms the heat transfer medium in the main pipe before condensing and recirculating. The pipes must be at a certain angle to facilitate the process; too flat or too steep an angle and the system will not work. Evacuated tubes generally create more hot water, especially when the sun is weak and the weather is cold. They are more likely to break from hail and other environmental conditions. They are so efficient that they risk overheating and boiling dry in summer. They are largely imported, evacuated-tube panels and so are becoming more expensive as the rand weakens. Your roof will help determine how you should heat water. If you have a roof that faces north – or at least between northeast and northwest – and gets full sun, flat panels are the most trouble-free option and will provide most of your hot water needs. If your roof gets limited sun, evacuated tubes may be necessary to provide enough hot water. And if your roof gets very little or no sun, you will be best advised to purchase a heat pump instead. These circulate water directly between the storage container and the collector(s), so the water you use in your shower is the same water that has been heated in the collector. A direct system should only be used under certain conditions, for example, in areas where temperature never drops below freezing and where the quality of the water supply is suitable. These have heat transfer fluid that circulates through the collectors via a heat exchanger that transfers heat from the collector circuit to the water in the storage container. Indirect systems are essential in areas that are exposed to frost or freezing because they are resistant to the cold. They are also used where the water is hard, as the system avoids lime scale build-up in the collectors. Indirect systems can require additional maintenance, as the heat transfer fluid must be checked and might need to be topped up. These systems typically use evacuated tubes. In Cape Town, there is no risk from freezing and hard water is very uncommon, so direct systems are well-suited for local needs. This refers to where the storage tank is situated in relation to your collector, and determines if you need an electric pump to circulate the water between the two or not. This is the most common and least- expensive position for the tank. The storage tank is positioned just above the panels, lying horizontally. The main advantage of close-coupled solar geysers is that they require no electricity or moving parts to circulate. This circulation is called the thermosiphon effect. These solar geysers have fewer parts to possibly fail over time and need less maintenance. They even work when the electricity fails. Here, the panels, or the collector, are on the roof, but the tank is inside the roof (typically in a vertical orientation). Split systems are commonly used when the aesthetics of having a visible or exposed tank are a concern. Low pressure solar water heaters provide gravity-fed hot water pressure only, and typically do not have a backup electrical heating element. High pressure solar water heaters provide hot water at pressures commonly found in homes and businesses, and have backup electrical heating elements to provide hot water when solar radiation is too low or at night. All the systems approved for installation by Accredited Service Providers under the City’s Solar Water Heater programme are high pressure solar water heaters. Installing the correct size of system is key. You should be able to store enough hot water to get your household through most 24-hour days worth of need, and also through a cloudy day. The general rule is a minimum of 50 litres of tank storage per person, plus another 50 for the house. If you need more than 300 litres of hot water per day discuss with your installer the option of splitting the total into two tanks, with water flowing from one tank to the next, in series. That way, when you use water, it is replaced by heated water from the supply tank, not by cold water. And if you need to heat the water electrically before your morning shower, you only heat a smaller tank. A less expensive – and somewhat less efficient – variation of this idea uses an existing geyser, supplied with hot water from a solar tank. This is called a pre-feed system. Yes, you should have a timer for the electrical backup of your solar water heater. A solar water heater should eliminate most – but not all – of your electricity use for water heating. However, an electrical back-up element in the tank is standard for most high- pressure systems. In the summer, electrical back-up may not be needed at all, and you may choose to switch off the electricity to the geyser at the DB board. But with cloudy weather or a weak winter sun, extra heat will be needed to bring the warmed water up to a hot enough temperature. The key to saving energy is to avoid heating the water with electricity just before the sun gets to work. Therefore, every solar water heater should have a timer on the electrical backup. The timer on electrical backup of your solar water heater should keep electricity to the heating element off during the peak daylight hours of sunshine, switching it on if needed at about 4pm for an hour. This is if you use a lot of hot water during the day or if it is cloudy. If your family is in the habit of showering and bathing at night, you can save the most by keeping the electricity off until just before its needed again. If morning showers require extra hot water, experiment with a short 1-2 hour boost at 3 to 5am, shutting off by 6am for the rest of the morning. A thermostat timer allows the extra control of setting different temperatures for different times of the day. 60 degrees Celsius is generally the best temperature, but many can get away with 55°C especially in summer months. Don’t go below 55°C because of the risk of bacteria growth. More than 60°C is usually not a good option as your backup element on the solar water heater will be heating the water too much and using more electricity than you need (costing you more). Typically, a 10°C reduction results in saving 5% on your hot water electricity bill. One hour is a good rule of thumb, but this will vary by the size of the tank, how cool the water was, the model and age of the heating element and other factors. A remote thermostat control may be a good option for you, if you are testing whether 55°C or 60 °C works best for your household, or adjusting the temperature often, or have other reasons for changing the thermostat for your hot water, and you need to climb onto your roof or into your attic to do so. Note that this function (i.e. thermostat or temperature control) is different from what a timer will do (i.e. turning the electricity to the unit off and on), and some remote thermostat controls also include a timer. What a remote thermostat control can also do, depending on where it is placed and who sees it, is raise awareness in the household of hot water heating and energy conservation issues, leading to behaviours that result in using less hot water. No, but you’ll save more if you bath or shower at night to take advantage of the water heated up during the day. Maintenance for solar water heaters varies by type and installation. Generally speaking, the more complex installations with more moving parts require more maintenance to keep performance up. All Accredited Service Providers will provide options for maintenance plans and discuss them with you. Generally speaking it’s a good idea to have your Accredited Service Provider check out your solar water heater once a year or so. This will cost around R400 typically, but will vary depending on what is required. Solar collectors must be clean to be effective. Generally, these can be cleaned as part of the annual maintenance. However, if you live in a very dusty area, an area subject to dust or sandstorms, or where coastal build-up of salt deposits from the ocean can be a problem, the glass panels of the collectors should be washed with clean water at least once every three months in winter and once a month during the remainder of the year. Evacuated tube systems may require re-evacuation a few times during their expected life. Please consult your supplier for maintenance requirements. Indirect systems need replacement of the transfer fluid every 4 to 5 years. Your hot water storage tank has a ‘sacrificial anode’ in it, which helps prolong the life of the tank. This may need to be replaced every few years, but will vary by household. 22. Will my solar water heater be affected by water supply issues? High pressure solar water heaters (ie. with a pressurised tank), whether they are flat- plate collectors or evacuated tubes are not at risk of damage from low water pressure or short periods of no pressure (water outages). Please see this advisory by the City for Cape Town for more information. Choose one of the Accredited Service Providers because they must adhere to a strict Code of Conduct established by the City when selling the solar water heater to you – including the installation, warranty and maintenance. The City doesn’t guarantee their work, but will help you resolve disputes if you are not satisfied with the work they undertake. The City also conducts random inspections on the Accredited Service Providers installations. Providing Certificates of Compliance that the plumbing and electrical work on the installations meet SANS10106 and SANS10142/1. Only installing products where the component parts are warranted free from defect for a period of five years (subject to annual maintenance). Offering instalment finance for the products they sell to suitably qualified (creditworthy) customers. Operating their company on sound financial footing, having a valid tax clearance certificate, public liability insurance, in good standing with their bank, and having a valid occupational health and safety certificate. – Market honestly and using plain language without high pressure sales, with a sales agreement in plain language. – Provide the reference accreditation number to allow customers to verify their standing with the City as Accredited Service Providers. – Hold an adequate stock of critical spare parts to ensure customers do not go more than 24 hours without hot water due to a lack of critical spare parts. – Offer instalment finance compliant with the National Credit Act(2005). The City is aiming to improve customer confidence both in solar water heater products and the local installation industry. 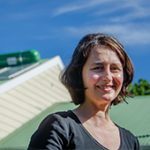 The City wants to see large-scale installation of solar water heaters because we know that it’s the one thing that can make the most difference in residential energy efficiency to achieve savings, reduce electricity use and the negative environmental impact of our predominantly coal-fired power, and it strengthens the local green economy. 26. I am concerned about accidents happening on my property during installation; how am I protected? If any accidents happen that are the fault of the Accredited Service Provider or their installers, the City has insisted that they are covered by the Occupational Health and Safety Workmen’s Compensation Fund and public liability insurance. You yourself, however, may be exposed to a claim if an accident happens through your own negligence so check your own insurance policy in this regard. 1. What is a solar PV system? 2. How does PV generate electricity? 3. What are the main parts of a PV system? 4. Does a solar PV system heat water? 5. How can I tell a water-heating solar panel from a solar electric PV module? 6. Can I generate heat for my home with a PV system? 7. Do panels store energy from the sun? 8. Do I need batteries with the system? 9. What happens during load-shedding or other utility power outages? 10. Are the solar modules fragile? 11. What is an inverter? 12. What is a solar charge controller? 13. What is ‘direct current’ (DC)? 14. What is ‘alternating current’ (AC)? 15. What is a power utility? 16. What is a ‘bi-directional meter’? 18. What does ‘grid-tied’ mean? 19. What is ‘generating capacity’? 20. Do I need permission to connect my PV system to the electricity grid? 21. What next, once I’ve connected to the grid? 22. Can I have a PV system and still be connected to municipal power? 23. Can I be totally independent from the utility? 24. What application forms do I need for connecting to the City of Cape Town’s grid? 28. What compliance is necessary for ‘off grid’ systems? 29. How much power does a PV system produce? 30. Will my system work at night? 31. Will my system work on cloudy days? 32. What’s the effect of rain? 34. Are government incentives available to reduce the cost of installing PV? 35. What is the payback period? 36. How long will my PV system last? 37. What if I sell my house? 38. 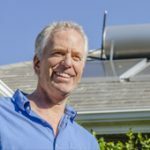 Is my PV system covered by my homeowners’ insurance policy? 39. How do I know if a residential PV system would work on my home? 40. Will a system produce enough energy to cover all my electricity needs? 41. What maintenance does the system require? 42. How much roof space is needed to power my house? 44. Do PV panels stand up to heavy winds? 45. How are PV systems attached to a roof? 46. Do I need to install a new roof before the solar panels are installed? 47. What other options do I have if the system cannot be mounted on my roof? 48. Do the PV modules need to face north? Solar photovoltaic (PV) systems, or solar power systems, are renewable energy systems that convert sunlight into electricity. The electricity they generate can be stored in batteries, used directly, or fed back into the electricity grid. Solar PV works well for a wide range residential, industrial, commercial and agricultural uses and is considered clean as no fossil fuel is used in generating the electricity. PV technology produces electricity directly from the interaction of sunlight with certain semiconductor materials, such as silicon, in the PV module. The electrons freed during this interaction then flow as direct current (DC) electricity from the module. This electricity can be used as direct current or changed via an inverter to alternating current (AC) electricity which is the form that grid electricity is available to you in your home or business. PV module – converts sunlight into Direct Current (DC) electricity. Battery (optional) – stores energy from the PV modules to supply electricity when there is additional demand or when there is no sun. Solar charge controller (required for battery systems only) – regulates the voltage and current coming from the PV panels going to the battery, which prevents battery overcharging, and prolongs the battery life. Inverter – converts DC output of PV panels into AC current for use by normal household or office appliances, or to be fed back into the electrical grid. AC & DC switch gear – connects and disconnects the PV system from the appliance or equipment using electricity (called the “load”). Load – all the electrical appliances and equipment that are connected to a solar PV system such as lights, radio, TV, computer, refrigerator, etc. Not directly and not usually. Solar PV modules convert sunlight into electric current to operate appliances, motors, pumps and other devices. Solar water heaters and solar pool heaters use the energy of the sun to heat water directly. People often confuse solar water heaters with PV systems as they have similar looking solar thermal panels on the roof – in fact these are not solar panels, but solar collectors. Technically, a solar PV system can generate electricity to heat water in an electric geyser (amongst all the other things it can power) but solar water heaters are still more cost effective than PV for heating water. This may change in time as technologies improve. PV panels or modules are the thinner ones, typically 2,5 to 5 cm thick with typically an array of 7,5 to 10 cm blue solar cells behind the cover glass. Solar water heating panels are generally much thicker, and may be connected to a water tank above it (the tank can also be inside the roof). Technically it’s possible, with a large enough PV system, but it’s generally not cost- effective. PV systems are usually designed to provide electricity to run your lights, appliances and other electric devices in your home. No, the electricity generated by your system is used directly by the appliances and equipment operating on your property when it is produced. Batteries are needed to store electricity. PV systems run whenever the sun is shining. Batteries are only required if you want electricity when there are power outages from the grid, or if you want to be independent of the grid at night or when the sun is not shining. Batteries are still expensive, have a limited life (5-10 years being typical) and require maintenance. Battery backup is most commonly used in remote areas where there is no electric service (off-the-grid). Without a battery backup, a grid-connected PV installation will not automatically provide electricity during load-shedding or other power outages. When the utility grid goes down, the PV inverter will automatically disconnect from the grid. If you do not have a battery backup, you will not get any electricity generated by your PV system during the power outage, as a safety feature. However, if you do have a battery backup, and are “grid-tied”, the changeover switch on your electricity board must be activated to shift the house wiring from the grid to the batteries. (Note that it is important to have a changeover switch installed, so request one because they are not ordinarily provided). If your PV system runs a section of your household independently from the grid, then this section will continue to function as per normal during a utility power outage. The modules are made of tempered glass and are very strong. They pass severe wind and hail tests, and are regularly installed in areas prone to hurricanes as well as Arctic and Antarctic conditions. An inverter converts direct current (DC) into alternating current (AC) in a way that lets the PV system power appliances in the home and be connected to the utility grid. A solar charge controller or regulator regulates voltage and current generated by the PV panels to keep batteries from overcharging. Direct current is electrical energy that flows in one constant direction. DC is typically converted to alternating current (AC) for practical purposes, as most modern uses of electricity require AC. Alternating current is electrical energy that changes direction at a fixed frequency (i.e. it ‘alternates’) as it flows. Most residential and commercial appliances require alternating current. A power utility is responsible for the electricity grid infrastructure. Homes, businesses and other users connect to this grid to get electricity. In Cape Town both the City of Cape Town and Eskom are responsible for portions of the electricity distribution network within the City of Cape Town’s formal metropolitan boundaries. A bi-directional meter is one that separately measures electricity fed from the grid into the home or businesses and electricity produced by a PV system on the property and fed back into the grid. It thus measures the flow in both directions, incoming and outgoing, or ‘importing’ and ‘exporting’. Anti-islanding refers to the ability of a small-scale embedded generation (SSEG) installation – like a grid-tied solar PV system – to instantly and automatically disconnect the generator from the local utility grid whenever the grid has a power outage. This is important as it prevents sending electricity to the utility grid from the SSEG during an outage. This is done primarily to protect utility workers who may be working on the utility grid and who may be unaware that the grid is still having electricity sent to it by the SSEG. A small-scale embedded generation (SSEG) installation (like solar PV) that is connected to the utility’s electricity grid either directly or indirectly through a building’s internal wiring is said to be “grid-tied”. By being grid-tied the SSEG can provide electricity to the grid whenever generation exceeds consumption. They can also take electricity from the grid when their own generation is too low. In Cape Town, only SSEG’s connected to the City of Cape Town’s electricity grid (and not Eskom’s) currently have the option to become grid- tied. i.e. those who buy their electricity from the City of Cape Town. Generating capacity refers to the maximum amount of electricity that a PV system can provide as AC. It is measured in kilowatts (kW). The term kilowatt peak (kWp) refers to the maximum generating capacity of the panels at standard test conditions. Yes,all grid tied PV systems must be approved by the City of Cape Town. The local electricity utility has rules and procedures that must be followed to connect PV or any generator to the grid safely and legally. In Cape Town, only installations connecting to the City’s electricity grid (and not Eskom’s) currently have the option to become grid-tied. See our guidelines for Safe and Legal PV installation in Cape Town. A grid-tied system will require a new meter that reads electricity use in both directions (a bi-directional meter), and will also be required go onto a new Embedded Generation Tariff. If you do wish to be grid-tied, but not feed back into the grid, you will need to install a reverse power flow blocking relay. This will exempt you from installing a bi- directional meter and from going onto the embedded generation tariff. The City of Cape Town Electricity Services Department will help you with the documentation and procedures. The guideline document explaining how to connect to the grid is available on their website at: www.capetown.gov.za/ElecServiceForms and on the resources page. If you have a system that generates more electricity than you use, then the excess can be sent back into the City of Cape Town’s power grid. Your new tariff agreement with the City will refund you for any excess electricity you generate at the same prices it buys from Eskom. Yes. In fact, many PV systems are designed as on-grid systems, meaning they are designed to interconnect with utility power and not use battery storage. As most people at this stage can only generate some of their electricity needs from solar, they still need to be connected to the grid. (E.g. because battery storage is expensive, electricity would still be needed during the day when the home needs more power than the solar PV can provide, and at night. Yes, PV systems can be designed to provide power independently from the utility. These “off-grid” systems rely on batteries to store power for night times and when the PV panels are not generating as much as needed. (Note that sizing systems for complete grid independence can be costly as the PV array and batteries need to be quite large and could need to be replaced every 5 years or so.) However, you still have to pay an electricity service charge to the City as the City is still providing your home with all the potential to be connected to the grid. This service charge helps to meet the infrastructure and maintenance costs. If you are planning to connect your solar PV system to the municipal grid, you will need to apply for approval. Connecting without approval is illegal and dangerous. The approval process for a small-scale embedded generation (SSEG) installation in the City of Cape Town’s electricity area varies depending on the size of the system and consumer category. • Supplemental contract for installation of Small Scale Embedded Generation (SSEG). Existing legislation requires that anyone generating electricity “not for own use” must obtain a generating license from the National Energy Regulator of South Africa (NERSA). Clarity is still required from NERSA whether feeding surplus generation back onto the utility grid and then drawing the same amount of electricity off the grid at a later stage for consumption is regarded as being “generation for own use”. In the absence of this clarity, the City of Cape Town currently does not require SSEG’s smaller than 1 MVA to obtain such a license provided that, over any consecutive 12-month period, they do not feed more electricity onto the City’s grid than they purchase from the City. All embedded generation systems installed to connect to the City of Cape Town’s electricity grid must be signed off on commissioning by an ECSA-registered professional engineer or technologist who complies with the City’s requirements. There may be changes to this requirement once the SANS 10142-Parts 3 (The Wiring of Premises – Embedded Generators) and 4 (The Wiring of Premises – Direct Current and Photovoltaic) standards are published. It is recommended you use a SAPVIA PV GreenCard accredited PV installer, who can issue a GreenCard for your installation – see www.pvgreencard.co.za for more information. If the PV system (Small Scale Embedded Energy Generation – SSEG) is not grid-tied in the electrical installation to the City’s electrical network, a registered person in terms of the Electrical Installation Regulations (2009) must install the SSEG and issue a certificate of compliance to the owner in terms of the South African National Standards for the wiring of premises (SANS 10142-1 – Low-voltage installations). 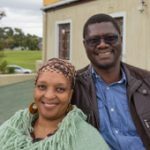 This confirms that the SSEG is not grid-tied to the City of Cape Town’s electricity network and that it supplies an off-grid electrical installation. The City can request a copy of the Certificate of Compliance (CoC). The power generated by a PV system is determined by the number and type of PV modules used. The size of system needed is determined by evaluating the amount of electricity needed to run the appliances and equipment in a home or building, taking into account the amount of roof or ground area available. Typical home systems generate between 2 kWp and 10 kWp, which is usually enough to provide 40% to 100% of a household’s electricity needs. A PV system will not generate electricity at night. Sunlight must be present for solar PV to produce power. At night, electricity is typically drawn from the utility’s grid. If a PV system has batteries, electricity can be drawn from those at night. Yes, though PV modules will produce less electricity. Under a light overcast sky, panels will typically produce about half as much as under full sun. During the design of a PV system for a household a solar analysis conducted on the installation site takes into consideration the average amount of the sun’s radiation reaching your system and accounts for cloudy, rainy and foggy days. This information is based on weather data collected over a 15-year period by Solar GIS and by SASRAD (for example): An hourly-time step solar radiation database site throughout our region. A steady rain is great for cleaning your solar modules. However, it will decrease your electricity production while it is raining and overcast. The solar modules are made of tempered glass with a silicon filler and PVC backer. This will absorb the impact of large hail. The module design is tested to withstand hail. Yes, but for businesses only. National Treasury has revisited Section 12B of the Income Tax Act No. 58 of 1962, as amended, providing for an ‘accelerated depreciation’ capital allowance for movable assets used in the production of renewable energy- including for solar PV. As from January 2016 Section 12B was amended from a three year (50% – 30% – 20%) accelerated depreciation allowance on renewable energy to an even quicker depreciation allowance of one year (100%). This accelerated depreciation allowance came about from a proposal in the 2015 draft Taxation Laws Amendment Bill that the definition of solar energy be amended to distinguish between photovoltaic solar energy of more than 1 MW, photovoltaic solar energy of less than 1 MW and concentrated solar energy. It now provides for an accelerated capital allowance of 100% in the first year, in respect of photovoltaic solar energy of less than 1 MW. The payback period will depend on the nature and cost of the PV system, your consumption patterns, how you are financing it (e.g. from savings, your existing bond/ homeloan facility or a higher interest-bearing bank loan) and future electricity tariff increases. At the moment, a grid-tied PV system with no battery has a typical payback period of about 6-9 years, but this is variable depending on the kind of factors mentioned above. Most PV modules come with a 25 year power output guarantee from their manufacturer (and are typically expected to last at least twice that long). This means that after 25 years, the solar panels are guaranteed to still produce at least 80% of their original power output. Battery life span varies between 5-10 years, and depends on the type and quality of the batteries, as well as how often they are charged and discharged (‘cycled’). When you sell your house the PV system usually remains on the house, although it could be moved to a new home. However, since a system is designed specifically for the original home, you would need to check if your system would be optimal for your new home. If you choose to leave the PV system, it is important to pass on all the system information, guarantees, etc. to the new owners. PV systems can be covered by your homeowners’ insurance as a dwelling extension. Be sure to check with your insurance company to make sure that your system is covered and that you have enough coverage to repair or replace the system if needed. You will need to specify the system on your policy. Solar PV power works for most homes. Systems are engineered to work with most roofing materials, in most locations where direct sunlight is available, in almost every region of South Africa. A PV system needs a sunny roof space. Any shading from trees or other obstructions can be a problem, so needs to be carefully noted and managed. A north- facing roof area is best, but PV panels can be mounted on north-west- or north-east- facing roofs and still produce adequate power as long as they do not deviate more than 45 degrees either direction from true north. It’s best to ask a PV professional to come and check out your home and give the best possible advice. Your PV installer professional will also be able to give you advice on whether or not your roof structure can withstand the weight of the system, although this is not usually a problem. A solar PV system does not need to provide all the electricity you need to be of great value. A small system that simply reduces the amount of grid electricity used can still significantly lower your electricity costs. A system with a battery backup can deliver uninterrupted power to critical loads during load-shedding or other outages, in some cases for days. While many people plan to get a system that supplies 100 percent of their energy needs, installing a smaller system may be more affordable and still make a big difference. Solar PV systems typically operate virtually maintenance-free for years without problems. The batteries in a residential system may need replacement every 5 to 10 years, depending on the batteries and how they are used during their lifetime. It is recommended that the installer check the system annually, just to make sure everything is performing as it should. If it is convenient and your installer suggests it, you can clean off the PV modules with water one or two times a year to remove dust or dirt, and salt build- up in coastal areas. PV modules have a typical life span of 20-25 years. A good rule of thumb is to allow 9.5 square meters for every kilowatt (kW) of electricity production needed. A typical residential solar PV system of 3 kW will require approximately 30 square meters. Note that these are figures for north-facing roofs without shading or obstruction. Shadows affect PV in two ways: lower efficiency due to blocking of the sun’s rays and shorter life span of the panels because commonly shaded modules burn out faster. The burnout is due to the shaded portion of the panel turning into a resistor instead of its normal function as a conductor when in the sun. This heats it up and over time burns it out, requiring replacement of the entire panel (the cost of which will not be covered by warranty). Less efficient PV panels need more panels – and therefore more rooftop space – to generate the same amount of electricity as more efficient panels. PV panels are fairly heavy (about 20-40 kg/m2). They typically do not pose a problem for concrete roofs, but roofs made from other materials may require a professional design engineer to check out risks from point loads and wind loads, and make recommendations for any modifications to the roof. Some homeowners’ associations have rules regarding the installation of anything on your roof or grounds. If you belong to a homeowners’ association, consult them for details before you install a PV system. Rooftop solar PV panel mountings need to withstand wind pressure that builds up under the panels during heavy winds. This is an important consideration if you are located in a part of Cape Town prone to high winds. Discuss the kind of mounting required for your location and type of roof with the installer. Mounting systems on the market today are made entirely of anodised aluminium and stainless steel to ensure long life without rusting. A racking system on a typical residential roof attaches through the shingles to the rafters using stainless steel screws. The attachment areas are then sealed with a high-quality polymer sealant for water tightness. Other types of roofs have different mounting systems, which are best discussed with the installer. Not typically. However, PV panels are designed to last more than 25 years and if the roof is going to need replacement within the next 8-10 years, it would probably be replaced first. If the existing roof has plenty of life still in it, the installed solar panels will reduce wear on the roof by blocking ultraviolet rays, keeping most rain and dust off the roof, and preventing anything from hitting the roof. There are options for ground-mounted PV installations. Speak to the installer for details on this. The greatest efficiency comes from modules facing due north and at the ideal tilt angle. North is best, but modules installed facing northeast or northwest still generate a very high percentage of possible power. The rule is not to deviate more than 45 degrees from true north. Ask the installer to perform a comprehensive site evaluation to determine the efficiency of the system, taking into account shading from trees or other sections of the roof. 1. How is the City of Cape Town helping businesses save electricity? 2. What help is available for industrial businesses that want to become more energy efficient? 3. Where does our electricity come from? 4. What is the cost to the environment of using mainly coal-fired power? 5. Where is our electricity being used? Smart Building Handbook: Download this free authoritative guide to building with electricity and resource-efficiency in mind, from construction through to operations and management. An essential tool for any company looking to build, renovate or retrofit. See here on the City’s website. Smart Events Handbook: Download this free guide, developed specifically for Cape Town, with advice for planning and hosting a resource-efficient event, from an office party to an international-scale expo. See here on the City’s website. Resource Efficient Criteria for Development booklet: This document is a reference guide to a large number of policy and legal directives and guidelines that form part of the City’s overall sustainability framework related to the built environment, and presents them conveniently in one document. You can download it here. Eskom’s Advisors can help businesses with assessments and advice on energy-efficient technologies, energy management opportunities and available funding. Applicable to both Eskom and City of Cape Town electricity customers. Source: EIA 2016 in Climate Transparency (2017). Brown to Green: the G20 Transition to a Low- Carbon Economy. In recent years, private renewable energy generation has been introduced, using a competitive bidding process (the REIPPP programme). The national target is to have 10 000 GWh of renewable source electricity as part of the overall supply mix. By January 2015 the Department of Energy announced that the total MWs of renewable energy (through the REIPPP programme) actually connected to the grid to date is 1 915 MW, and a further 1 512 MW have reached commercial operation stage. So it is still a very small part of the mix, but is set to grow over time. The Mayor of Cape Town has sent the ambitious target of 20% renewable energy by 2020. You can read this statement by the executive mayor for more information. Coal-fired power stations and the burning of coal produces carbon dioxide (CO2) and other emissions which cause climate change and other pollutants such as sulphur dioxide, which causes acid rain. At the same time, coal mining damages the environment by degrading land and depleting our water supply. For every 1 kWh of electricity consumed, approximately 1kg of CO2 is produced and 1,26 litres of water is used. In Cape Town, the residential sector uses almost as much as the commercial sector, and much more than the industrial sector. Residents are collectively the second biggest users, which is why residential saving can make such a big difference. Within middle and high-income homes, the biggest user of electricity is usually the geyser. A geyser is typically responsible for 40-60% of an average home’s electricity costs. All information provided has been produced and reviewed by the City of Cape Town, and some answers include material sourced from other websites and programmes (acknowledged in each case). This is content which is shared non-commercially on condition of acknowledgment.